The Society of American Law Teachers held its annual conference last week, with the theme “Teaching in a Transformative Era: The Law School of the Future,” and environmental professors and issues were prominent at several panels. Richard Hildreth from University of Oregon and Maxine Burkett from University of Hawaii’s Center for Island Climate Adaptation and Policy did an excellent job as presenters for “Teaching Climate Change Law: Substantive and Pedagogical Considerations in a Time of Change.” Discussion ranged from substantive course coverage and addressing risk issues to prerequisites and teaching methods. Faculty from Pacific McGeorge described their work at the Law School incorporating social justice, corporate responsibility and sustainability perspectives into courses. Corporations specialist Miriam Cherry discussed greenwashing and an article she will publish shortly in the Tulane law review on corporate social responsibility. Rachel Salcido described the school’s Sustainable Development Institute. Another panel, on which I had the pleasure of serving, focused on developing practical lawyering skills. My presentation outlined Pace’s foundational Environmental Skills and Practice course which uses a problem based approach with the Clean Water Act as the platform for learning administrative law and regulatory methods. The panel was organized by Jessica Owley, SUNY-Buffalo. 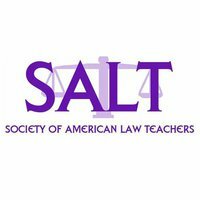 SALT’s is “A community of progressive law teachers working for justice, diversity and academic excellence.” It is certainly a welcome atmosphere for environmental academics whose goals are so similar.